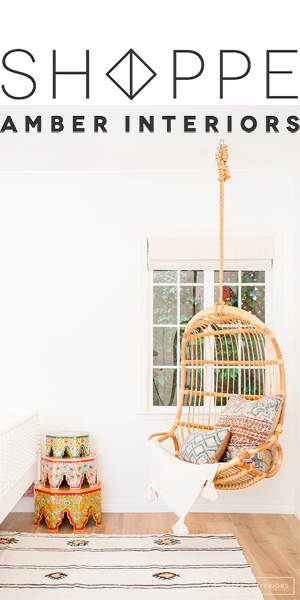 I’ve been craving a road trip this summer something fierce, and the latest One Kings Lane sale isn’t helping They’ve just launched the first in a series of collaborations with The Luxury Collection Hotels & Resorts. 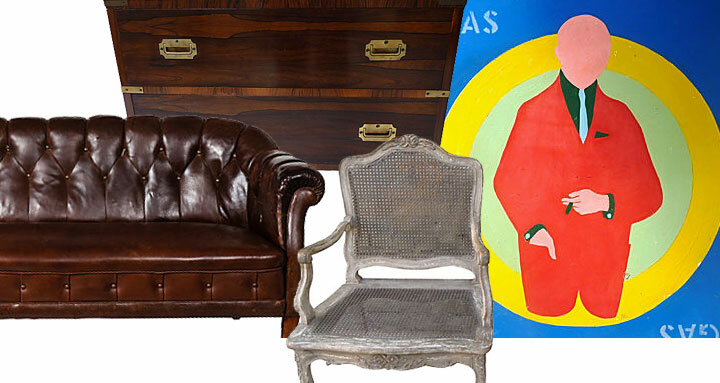 Today’s is the “Hollywood at Home” edition, packed with one-of-a-kind Regency pieces well worth your browse. But what I’m really excited about is the “West Coast Road Trip” you can book, in which you get to stay at one of their amazing luxe hotels, and get a customized road-tripper shopping itinerary from the concierge, introducing you to all of their favorite hidden gems in the city. Can you imagine a more perfect excuse to hit the road? 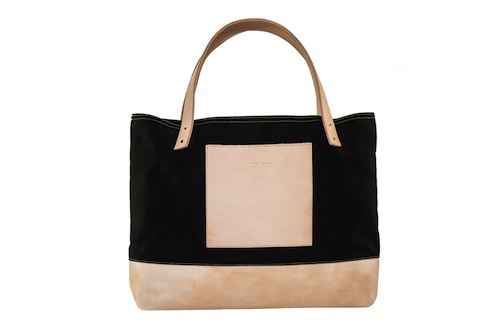 If I were hitting the road, I can tell you I’d want this stunning Simon tote from Leon + Bella on my arm. Isn’t it divine? I’m picturing that leather getting softer, darker and more beautifully broken in with every adventure. 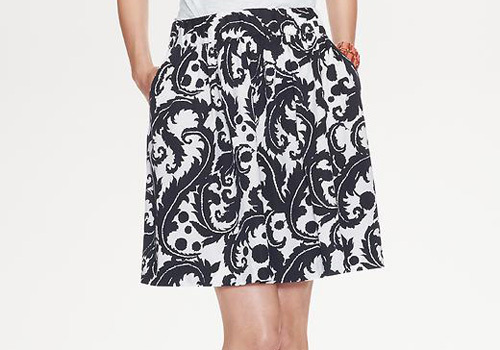 And I’d want an easy, breezy, no-brainer skirt like this one from the Milly/Banana Republic collaboration to toss in my bag, of course. This has style and polish, but it also has an elastic waist, and would look perfect with everything from flip flops to a dressy black heel. Speaking of flip flops, have I told you all about my favorite Etsy discovery in ages? Anna at Blue Drop will hand make you some of the most beautiful Greek sandals I’ve ever laid eyes on. And they’re actually made in Greece, so you can feel suitably exotic. For a fraction of what you’ll pay certain other brands (who shall remain nameless). I can attest that the quality on these beauties is extraordinary, and that Anna is an absolute doll. And of course, once you settle in, you’ll want a cocktail. 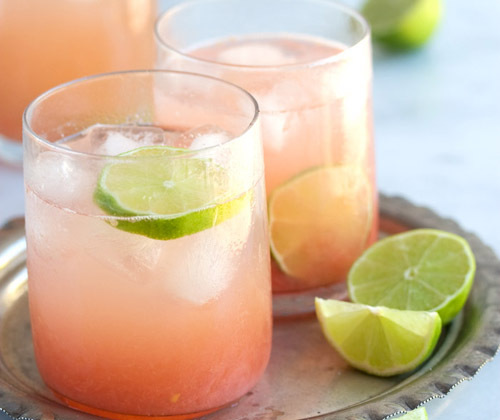 A dear friend (hi, A) has recently introduced me to the wisdom and light that is the Paloma. I’m not sure if I’m doing it right (a mixologist I’m not), but the version I’m drinking goes like this: shot of tequila in a rocks glass over ice, add equal parts fresh grapefruit juice and club soda, then a splash of lime (and a sprig of mint if you’re feeling frisky). As for the tequila, I’m partial to this Reposado I found in Mexico years ago, but hey, in a pinch, any will do. I’m telling you, it’s summer in a glass. Have a fantastic week, everyone! 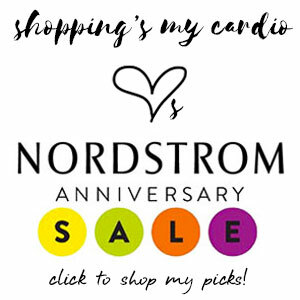 I’ll be back next week with my annual Nordstrom Anniversary Sale preview, so start getting those finances in order. It’s a good one! This entry was posted in fashion, friday finds, summer, travel and tagged banana republic, blue drop, etsy, leon + bella, milly, one kings lane, the luxury collection on 2 July, 2013 by shoppingsmycardio. Friends, please just stick with 100% agave tequila and beyond that any should do. Mixtos = your college tequila hangover. ^^ Wise words from my resident cocktail guru!